The arrival of an early Self-portrait (c.1629), which was presented to Charles I before 1633, makes an impressive starting point for the exhibition (it was the first painting by Rembrandt to leave Holland), but did little to anticipate the level of adulation his work would inspire in the following century and which had become a kind of mania among British collectors around 1750. Rembrandt: Britain’s Discovery Of The Master will bring together 15 major works in oil (and two further oils attributed to Rembrandt, and two more from his workshop), as well as an extensive selection of 15 outstanding drawings and more than 20 prints, including some of his most celebrated etchings, such as Christ Presented to the People (1655), The Three Trees (1643) and Portrait of Jan Six (1647). 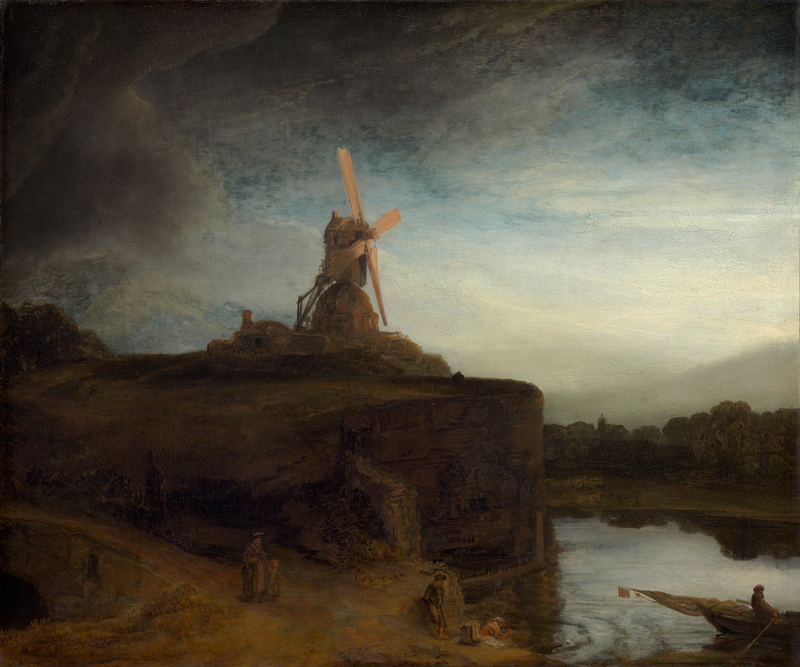 Great paintings such as Belshazzar’s Feast (c.1636-38) from the National Gallery London, and Girl at a Window (1645) from Dulwich Picture Gallery, will be shown alongside star works that are now overseas, such as The Mill (1645/8) from the National Gallery in Washington, which left Britain when it was sold to a US collector for the staggering sum of £100,000 in 1911. Among the early arrivals in Britain were Rembrandt’s only portraits of ‘British’ sitters, Reverend Johannes Elison and his wife Maria Bockenolle (both 1634), which will be on loan from the Museum of Fine Arts, Boston. Although they were painted in Amsterdam, the Boston portraits depict a Dutch couple who lived in Norwich, and the paintings were in Britain by 1680. 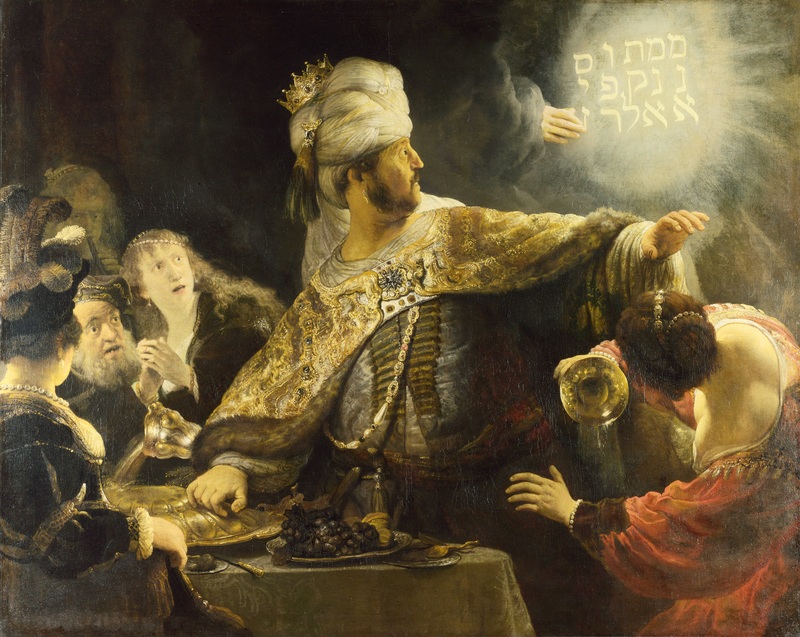 Such expensive and ostentatious portraits are uncommon for clerics, and rare in Rembrandt’s work; they presumably reflect the status of the couple’s son, a successful merchant, who probably commissioned them. They are one of only three pairs of full-length portraits painted by Rembrandt, and have not been seen in the UK since 1929. From about 1720, the steady flow of major paintings by Rembrandt, such as the beautiful and tender Landscape with the Rest on the Flight into Egypt (1647) (which will be on loan to this exhibition from the National Gallery in Dublin), grew into an enormous surge. By the 1770s Rembrandt mania was in full swing, pushing demand and prices to extraordinary levels. 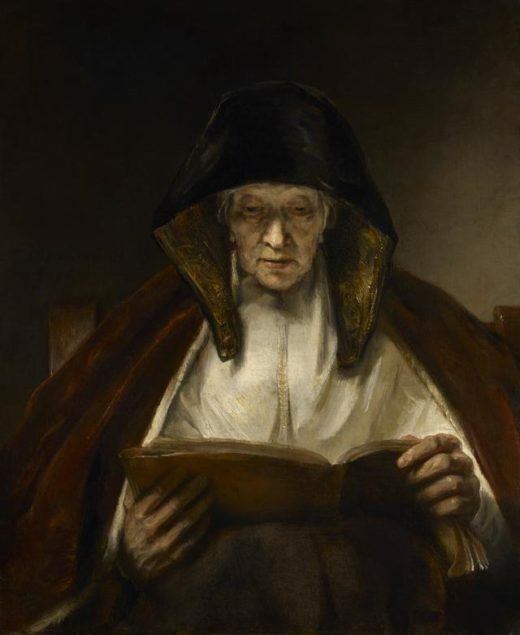 Even so, British collectors still succeeded in bringing prized pictures into the country, including An Old Woman Reading (1655), on loan here from the Buccleuch collection, and A Woman in Bed (Sarah) (1647), which is now in the National Galleries of Scotland.